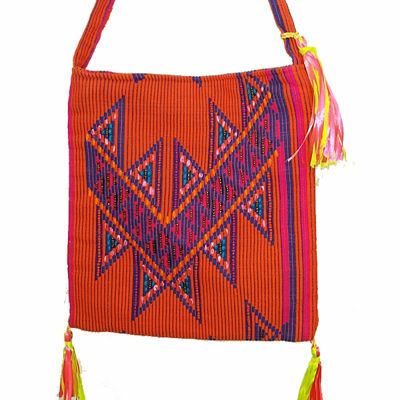 100% woven fabric tote shoulder bag can be used as cross body too. 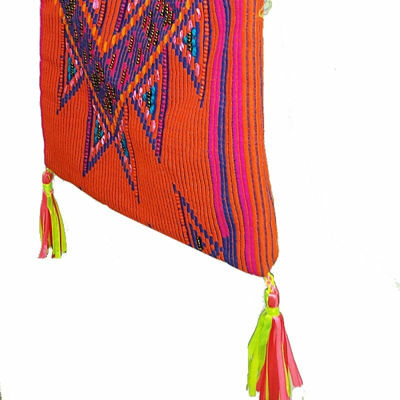 A combination of orange and blue Aztec pattern , embellished with bead and thread work. 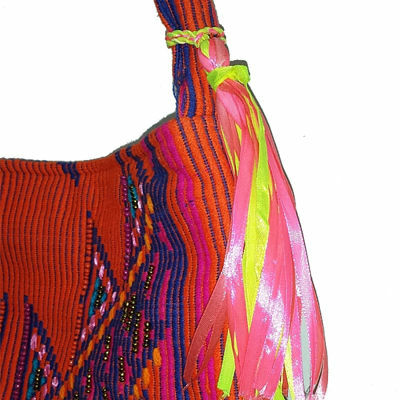 Both ends have ribbon tassel in pink and yellow. Zip closer. 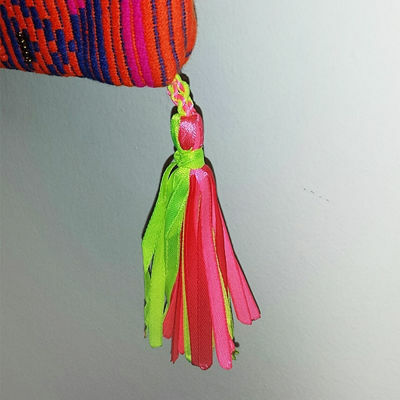 Handel has a removable tassel made in pink and yellow ribbon 7" in length. 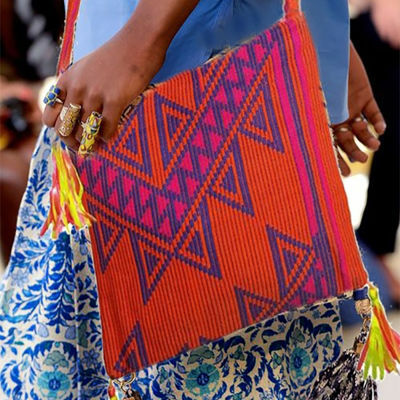 A large functional bag with a great Aztec look. 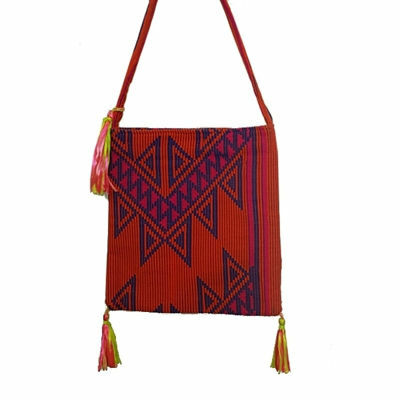 Complete your smart casual look with a wool felt woven fabric bag with fringe bottom. A grey wool felt flap with beige stitch and multi color woven fabric bottom. Black adjustable strap, attached with brass rings. Cotton lining and 1 zip closure pocket. A perfect match for jeans and long skirts at work or play.